Where was I? Oh, yeah. It’s Monday, so it’s time to take a look at what the trouble with writing is once again. I actually have an editor that I can afford now. Crazy, isn’t it? All these months you’ve put up with me saying that Days of the Kill is on hold, and now I switch editors after I talk to a publisher (another big change!) and now, I have a much less expensive editor to go to. Talk about relief! Here’s the thing, though: I looked through Days of the Kill again, and well, I guess you could say that there were more things wrong with it than I thought. Don’t get me wrong: I’m totally loving the fact that I have an editor now, but I spent yesterday pounding out the big wrinkles that were really bothering me. I know it won’t be anywhere close to perfect, but might as well get what I can catch, right? I think that’s a problem with every writer. We get to the point where we send it off to a professional, but then we obsess over it who knows how many more times thinking we can make it perfect before the professional sees it. That’s not how it works. 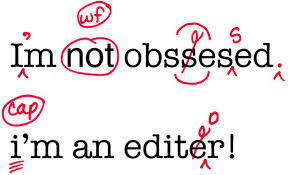 Try leaving your manuscript alone before the editor sees it for a little while… Easier said than done, I know. From talking to the editor, it sounds like she will be taking a look at it either at the end of this week or the beginning of next week. We will see, and I will definitely keep you posted. Until then, I think I’ll keep obsessing over it just a little bit more. It’s so difficult to leave a manuscript alone after you have passed it along to an editor, beta reader, or friend. I agree. It’s easier said than done. This is my first time going through this whole process, and I’m finding out just how difficult it is to leave the manuscript alone.